Pan de Yuca (Cassava Cheese Bread) is a delicious, gluten-free cheese bread made with yucca flour (tapioca starch) and cheese that’s so easy to make! 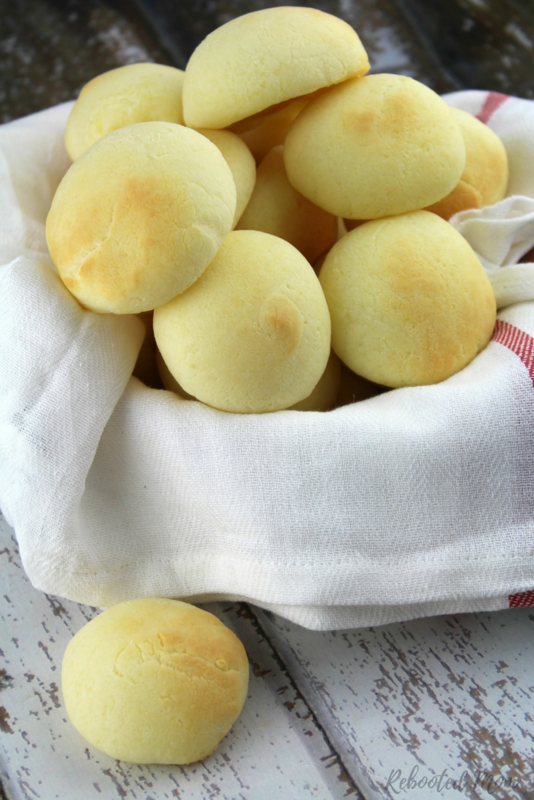 Pan de Yuca is a traditional cheese bread that is made with tapioca flour. If you have ever traveled to Colombia, or the coastal region of Ecuador, there is no doubt that you have enjoyed these treats. They are a favorite in our house and every time I make them they disappear faster than I can make another batch. 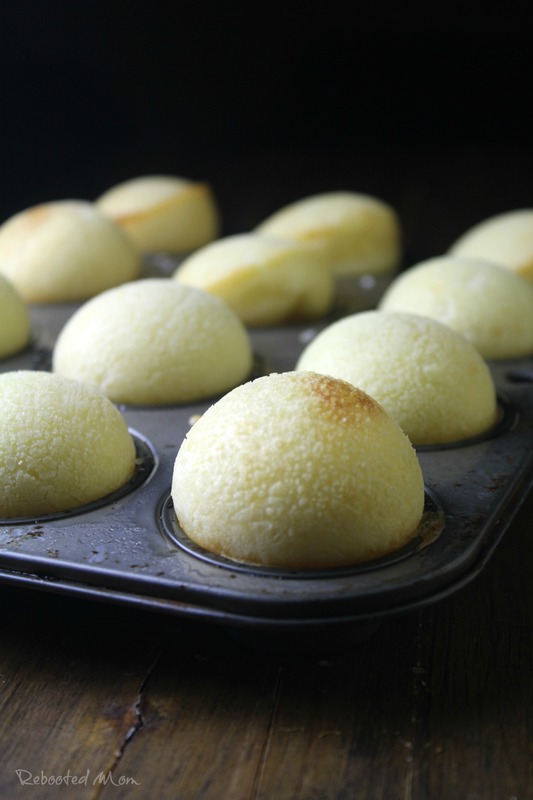 In Brazil, these little treats are known as Pão de Queijo. 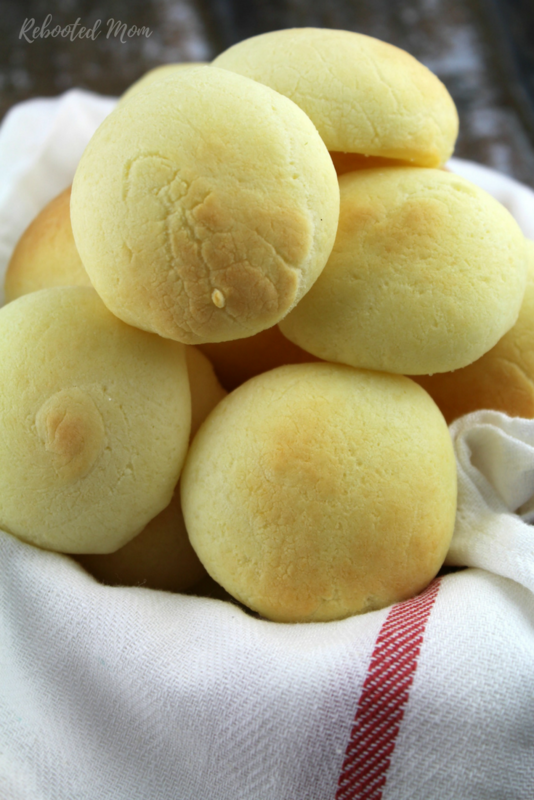 Like Pan de Yuca, they are void of wheat so are a great option for kids and adults alike who have an intolerance to gluten/grains. Yucca is known as cassava flour. It cooks similar to potato flour but has a pretty unique flavor. Here in the states you can pick up tapioca starch which is the powdered form of the Latin American flour. Tapioca flour can be found in most grocers, but we pick ours up on Amazon in a larger quantity. We’ve also picked up yucca root here at our market and prepared it as a whipped mash much similar to potatoes. In Ecuador, Pan de Yuca is made with queso blanco We used homemade queso fresco, but if you can’t make your own fresh cheese from raw milk, don’t panic. You can pick up queso fresco at your local grocer. Or, feel free to use a mixture of feta and parmesan cheese. The ratio of flour to cheese and eggs seems high. While your food processor may struggle a bit at first, with passing time, it does get easier! With patience and a tiny bit of added milk (2-3 Tbsp) the dough will eventually come together to resemble a cheesy sponge. 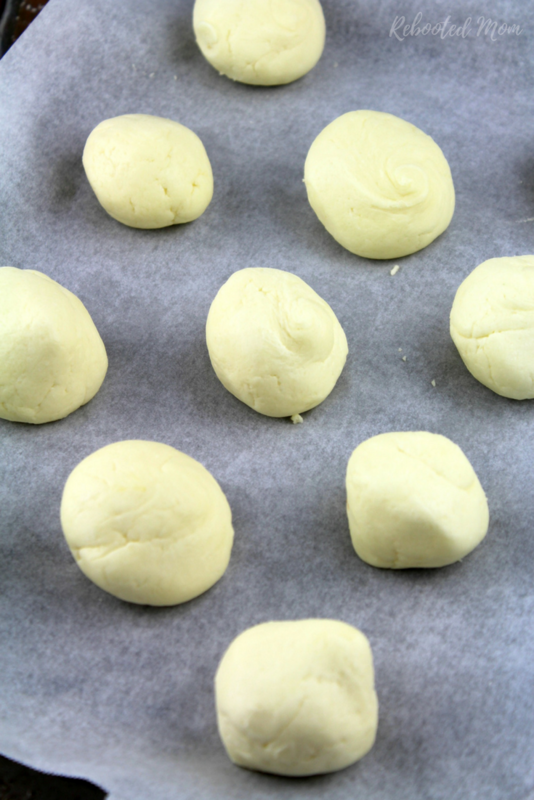 Separate that dough into small, round balls and bake until light and firm. Then flip on the broiler to brown the tops ever so slightly. These rolls are grain free, and gluten free, and absolutely delicious when enjoyed fresh from the oven. The bread is incredibly cheesy and chewy, gluten-free and bake in just minutes. 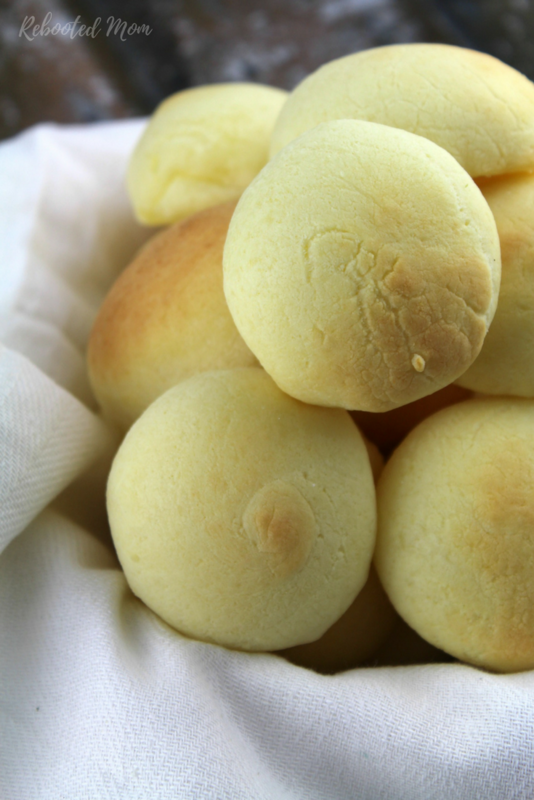 Have you ever tried Pan de Yuca? Is it a favorite in your home, too? 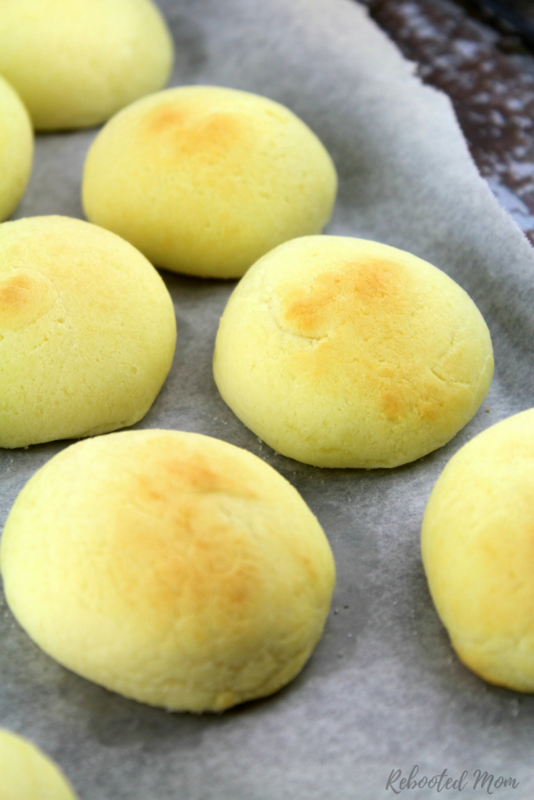 Pan de Yuca is a small, gluten-free cheese bread made with yuca flour (tapioca starch) and cheese - popular in southern Colombia and the central coast of Ecuador. Preheat the oven to 400 degrees F and line a cookie sheet with parchment paper. In your food processor, combine the eggs, queso fresco, and butter and puree until combined. Add 1 C. of the tapioca flour and continue to process until blended. Add another 1 C. of the tapioca flour, and process - the dough will be difficult to process, add 2-3 Tbsp of milk, just enough to allow it to come together - the flour ratio seems high, give the food processor time to process through it and allow it to mix. Then add the last 1/2 C. of tapioca flour, along with the salt and baking powder and puree one last time until it comes together. The dough will be thick, and somewhat spongy - remove from the food processor and form it into a smooth round ball. From that ball, divide the dough into equal rounds (12-18) - roll the rounds evenly into a ball, then place on the parchment paper 2 inches apart. Bake for 9-10 minutes - then turn on the broiler and broil just until they are beginning to brown. Keep a close eye because they will brown fairly quickly. 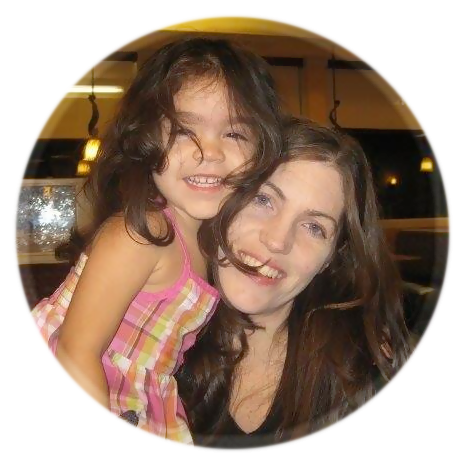 Share the post "Pan de Yuca (Gluten-free Cheese Bread)"